We can send you a message when this item is available again. Thanks! We'll notify you when this item is back in stock. Roasted by hand. Always small batch. Delivered directly to your door. 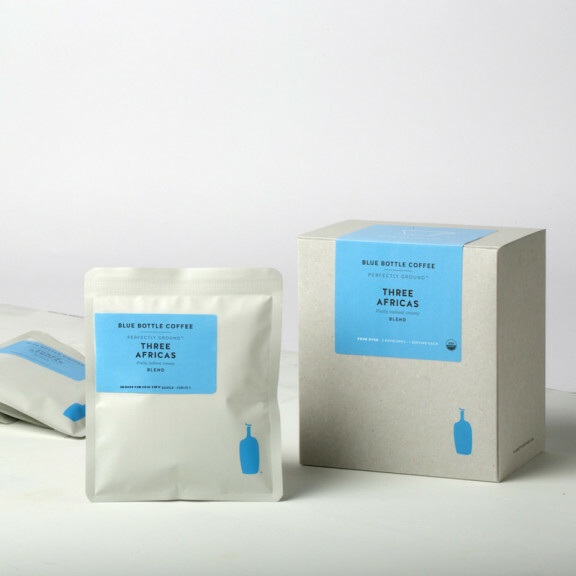 Blends, single origins, and espressos—sourced by hand (by Charlie) from sustainable coffee farms. Roasted to order and shipped within 48 hours. 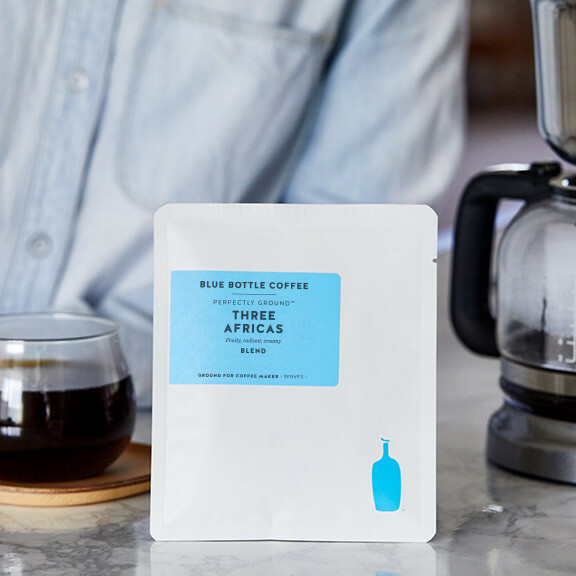 Three Africas marries the radiant fruit of two coffees from Ethiopia, one washed and one natural, with the balance and authority of a washed coffee from Uganda. Each component excels on its own, but together, they traverse boundaries. 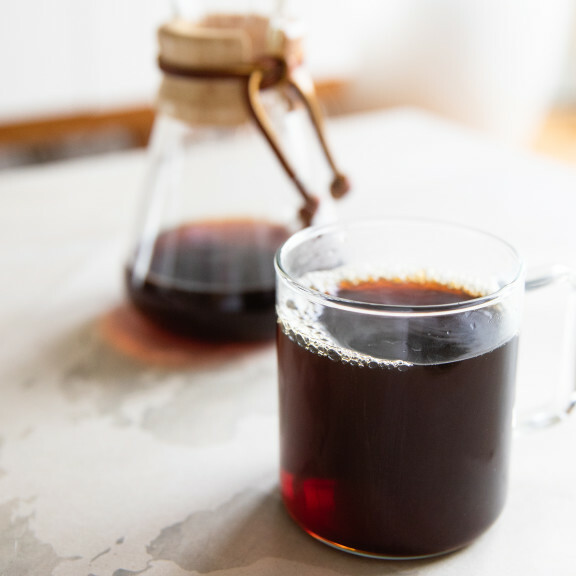 No matter the brew method, this blend, which is our brightest, has good body and an approachable complexity that takes to cream well, but stands just as radiantly on its own. 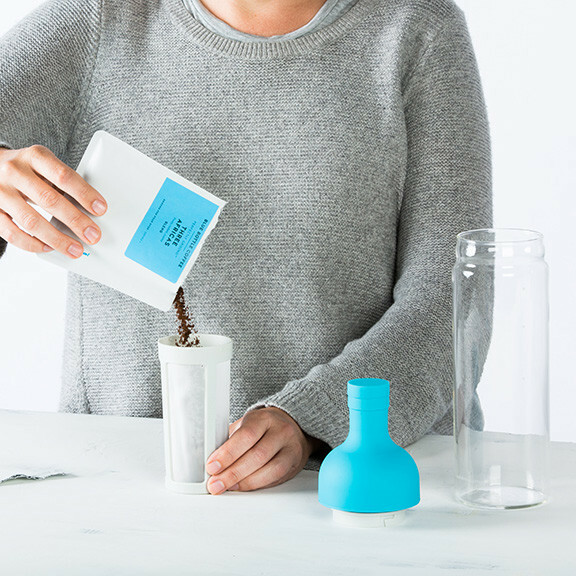 All of our blends (both the individual components and the blend itself) are tested weekly by our professional tasters to ensure quality and deliciousness. Cupping spoons and a practiced palate are the key instruments of our Quality Control team, who taste, evaluate, and refine our coffees every day. 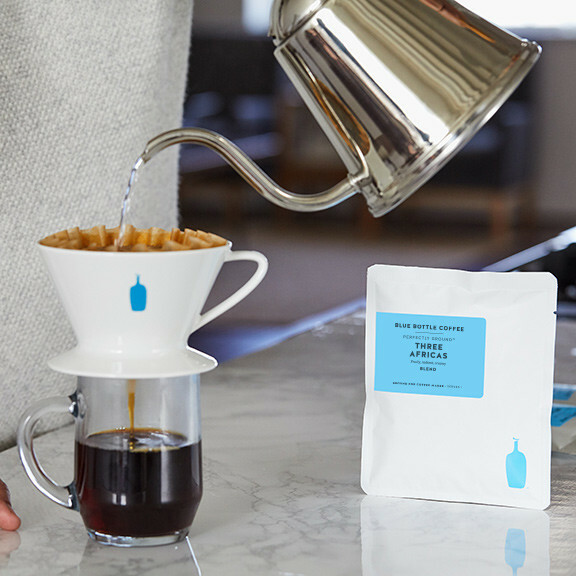 What is Blue Bottle Perfectly Ground? 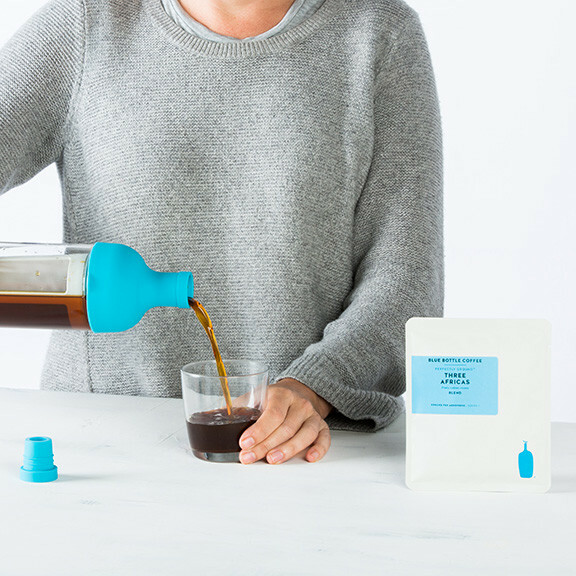 Blue Bottle Perfectly Ground is a proprietary technology that grinds coffee to exact brewing specifications, then hermetically seals it in an oxygen-free environment we call "the dome." 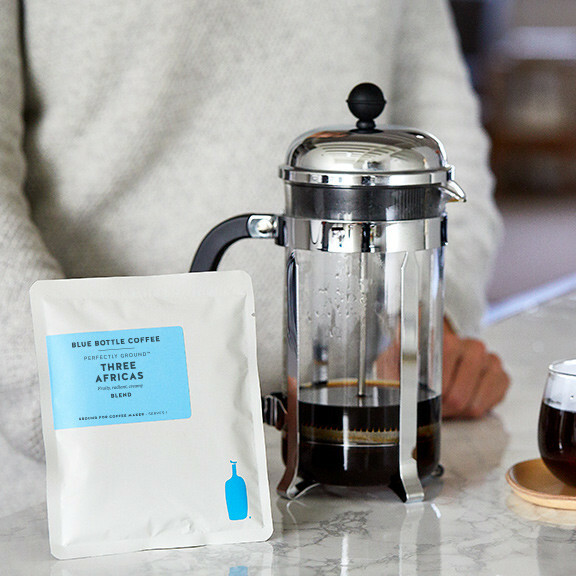 This coffee tastes so fresh, not even our baristas (or our founder, James) could tell the difference. You decide when it’s time for a cup of coffee that tastes like it was ground just moments ago.